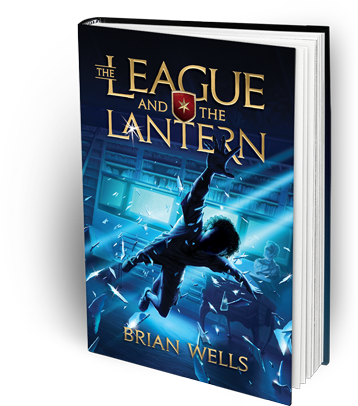 The League and the Lantern by Brian Wells is a great book for middle-school aged readers, especially boys! It is the first book in a new adventure series, and starts when a dangerous organization invades Jake Herndon’s seventh-grade sleepover at the Museum of Science and Industry in Chicago, IL. This is a place my family is familiar with, so it was fun to read about the exhibits we have seen and experienced at the museum, such as the giant man-made tornado. As the story progresses, Jake and his two new friends unravel a mystery dating back to the Civil War era, and discover an incredible secret about Jake’s family. They eventually leave Chicago and spend a lot of time in Springfield, IL, where they have adventures at the IL State Fairgrounds, the Abraham Lincoln Presidential Library and Museum, and Lincoln's Tomb. These are also locations our family has been to and are very familiar with. I have been reading the book aloud with my kids, and it has been hard for us to put it down. The funny scenes and the adventure have kept our interest. Plus, I love how it incorporates things that interest kids of middle school age, such as Captain America, the Avengers, Star Wars, The Princess Bride, Super Mario, and The Chronicles of Narnia. Besides that, the history based around the events of the Civil War is an added educational bonus. If you would like a chance to win a copy of this book, fill out the entry form below. Entries will be accepted until Saturday, May 14, 2016, at 8:00 p.m. CST. One entry per mailing address.